MAC3PARK Stadion, previously known as IJsseldelta Stadion, got built in 2009 as a modern replacement for PEC Zwolle’s old Oosterenk Stadion, which had been the home of the club since the 1970s, but lacked modern facilities. 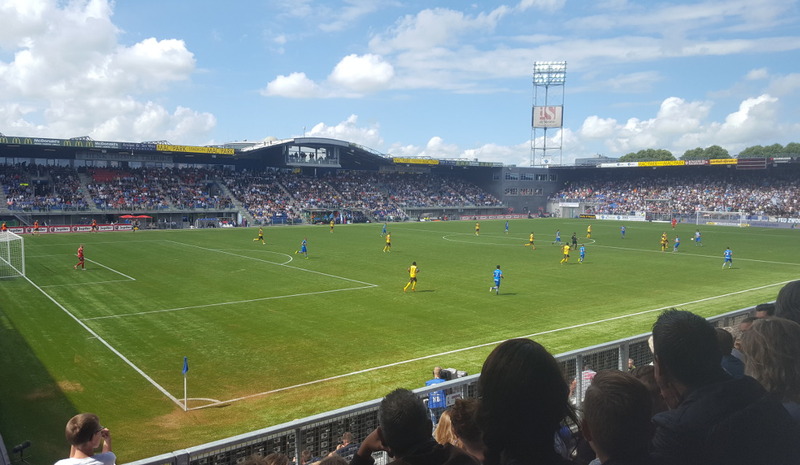 PEC Zwolle therefore decided to build a new stadium, and after a long process that included the citizens of the city of Zwolle voting down initial plans, construction was finally approved in 2005. 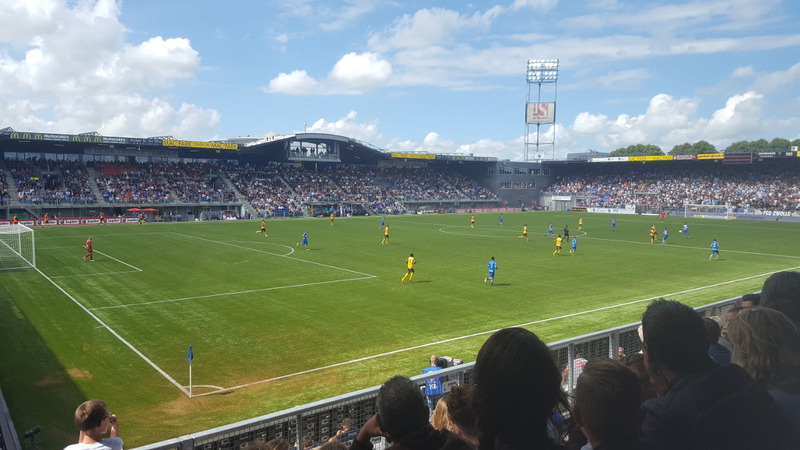 Demolition and construction were performed in phases so that Zwolle could keep playing their home games at the stadium. As a result, there was no official first match, though a tribute match for Jaap Stam in the summer of 2009 was one of the first to be played in the fully completed stadium. The stadium officially opened on 29 August 2009 and had an initial capacity of 10,000 seats. 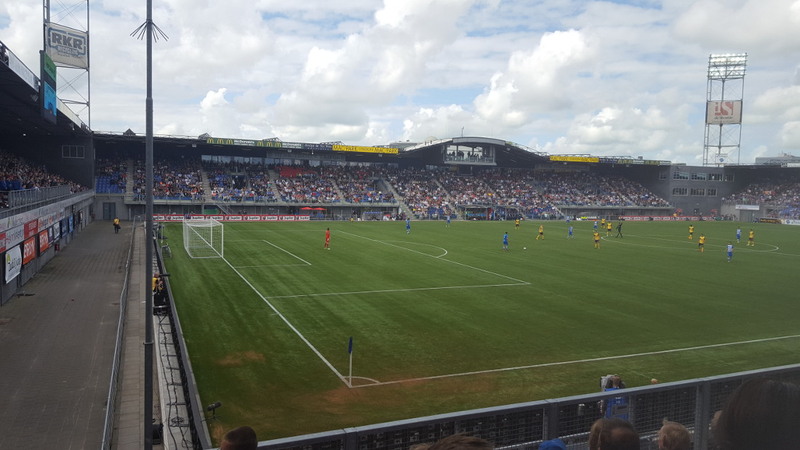 Soon after, PEC Zwolle expanded the stadium with additional rows of seating in front of one of the sides. They furthermore turned a some of the seating areas into standing, and in 2013 extended part of the main stand down to the pitch. In 2016, they extended the stand at one of the end down towards pitch level and turned the bottom half of the stand into a terrace, boosting capacity to the current 13,250. 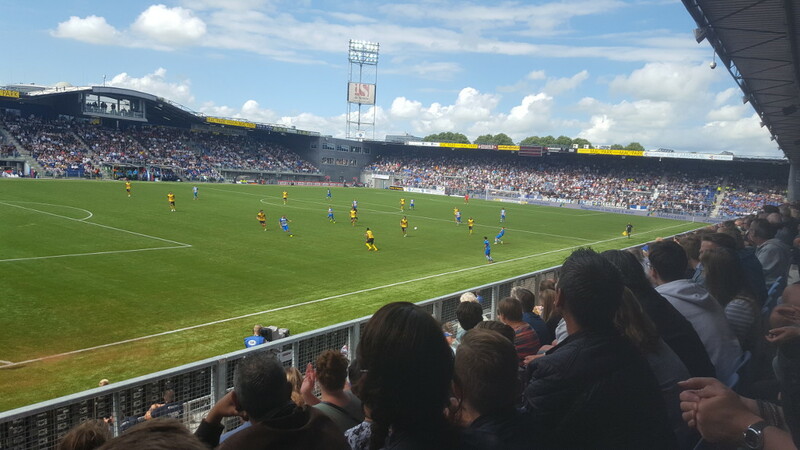 The stadium initially went by the name of FC Zwolle Stadium, but after the club changed back to its former name PEC Zwolle in 2012, a new name had to be sought, resulting in IJsseldelta Stadium named after the IJssel river that runs through the city. In 2016, the name changed to MAC3PARK Stadion following a naming rights deal. MAC3PARK Stadion houses several retail activities such as a casino, restaurant, and a hotel. It has had an artificial pitch since its inauguration. MAC3PARK Stadion is located in the east of the city of Zwolle at about 2.5 kilometres from its city centre. The stadium is easily reached by car coming from the A28 motorway. Take exit 20 Zwolle Noord and turn south onto the Ceintuurbaan. The stadium will soon turn up on your left. If using public transport, take bus 3 from the railway station, which also passes through the city’s historic centre. The journey takes about 15 to 20 minutes. Get off at stop Stadion. MAC3PARK Stadion is located on the edge of a quiet residential area and furthermore borders an office park, other sports facilities, and an open-air swimming pool. The stadium houses two restaurants, and one can furthermore find a McDonald’s a short walk away near the motorway exit, though apart from that eating and drinking options near the stadium are limited. There are plenty of options in Zwolle’s pleasant historic centre though, which is not far away. Besides the two restaurants, the MAC3PARK Stadion also houses a hotel, Hotel Lumen, which gets good reviews and even has a few rooms with (partial) pitch view. Otherwise there are a few more hotels in or near Zwolle’s city centre in various price categories. Tickets for PEC Zwolle games can be bought online, or at the Fan Shop at MAC3PARK Stadion. For certain matches a club card or ID may be required to buy tickets. If tickets remain available, these can generally also be bought at the stadium on the day of the match. PEC Zwolle sell out a good few of their Eredivisie matches though and booking in advance is therefore strongly recommended. Ticket prices range from €17.50 for a seat or standing place behind the goal to €31.50 for a central seat at one of the long sides. No tickets are sold on public sale for the main stand, which is reserved exclusively for hospitality. Prices are increased with €5.00 or €7.50 for the matches against Ajax, Feyenoord, and PSV. Peczwolle.nl – Official website of PEC Zwolle. Vvvzwolle.nl – Tourist information on the city of Zwolle.